Hey thanks, El Niño. It’s a rare year that downvalley residents such as myself have the opportunity to cross-country without driving up to Aspen. While I grew up downhill skiing, when I moved to the Roaring Fork Valley, I decided to get serious about Nordic pursuits. For the uninitiated, “the umbrella term for any type of skiing that isn’t downhill, aka alpine, skiing. It refers to non-fixed heel sports such as ski jumping, cross-country, skate-skiing, alpine touring (AT), and telemarking. Snowshoeing is a gray area, because it’s not skiing, but it is considered a Nordic sport,” says Chris Frado Executive Director/President of the Cross Country Ski Areas Association (CCSAA). Once you get past the initial expense of investing in Nordic gear, you’ve got a free, easy way to access public trails and backcountry (note: do not attempt this unless you’re with someone experienced and in possession of their avalanche certification and you both have the appropriate emergency gear (beacon, probe, transceiver). I just keep my cross-country touring skis and boots in the back of my car all winter, and when I have a bit of time to spare, I pull over and step in. If you’re just visiting, Nordic rentals are easily obtained in Aspen at Ute Mountaineer, or in Ashcroft. Pitkin County has over 60 miles of free cross-country and snowshoe trails to suit all levels- some of these areas are even dog-friendly. 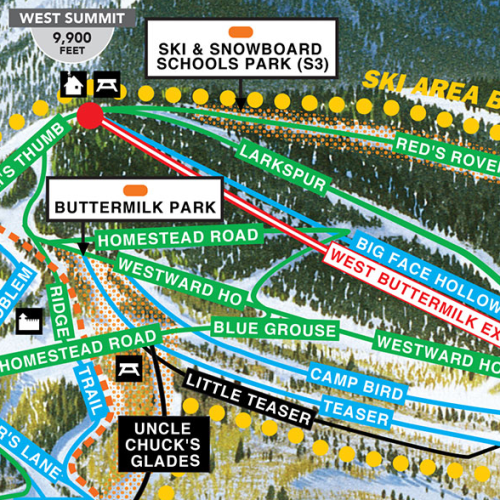 Check out the Roaring Fork Valley’s top spots for free-heeling it, lift tickets be damned. 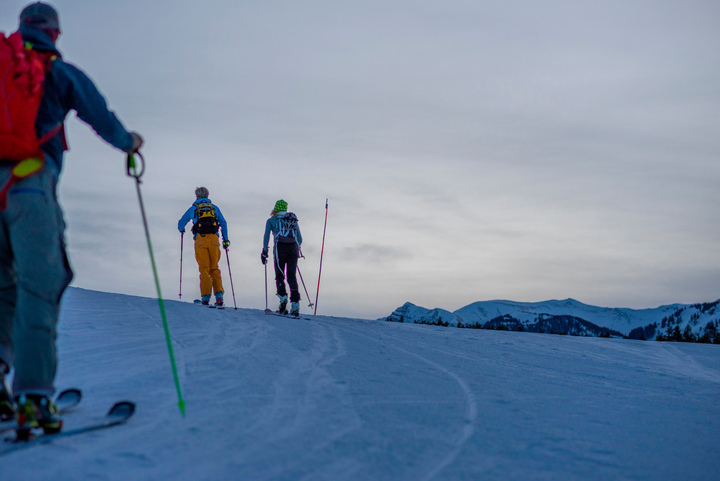 The ideal place to take a lesson and get details on the three free Nordic trail systems/centers in the Roaring Fork Valley (the others are Snowmass and Spring Gulch, deets below). 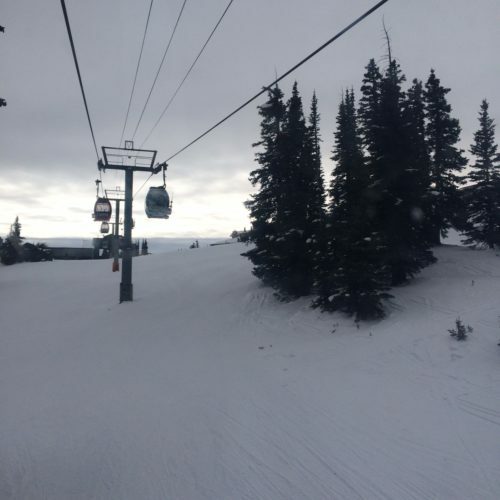 Located on the Aspen Golf Course, it’s convenient, groomed, and particularly good for skate-skiing. 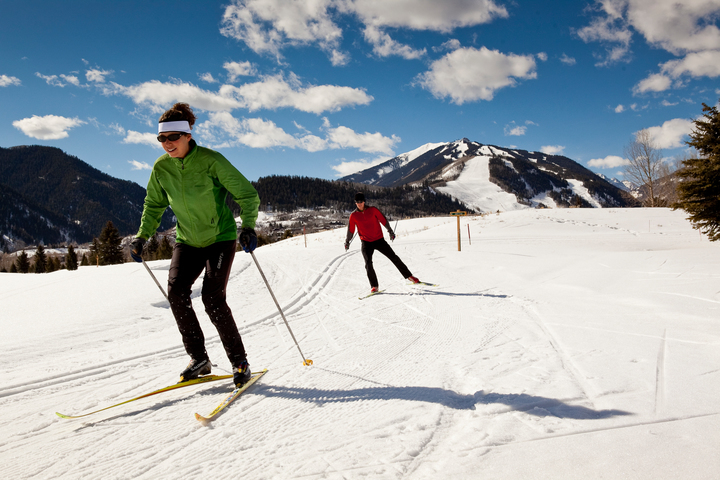 Located on the Snowmass Golf Course, the center provides over six miles of trails for Nordic pursuits; other trails lead up to Snowmass Mountain and to Aspen. You can also rent gear, and take group or private lessons tours. 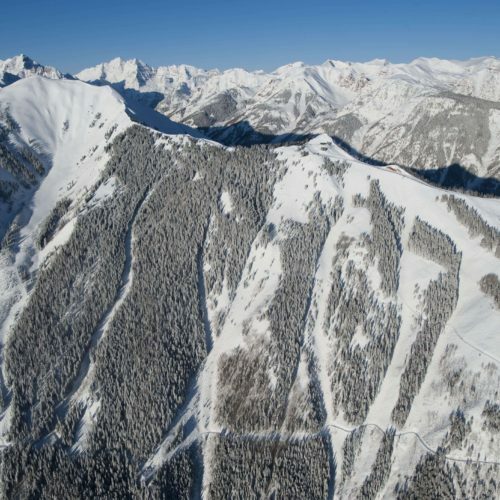 Aspen is considered one of the most uphill-friendly ski resorts in the nation. 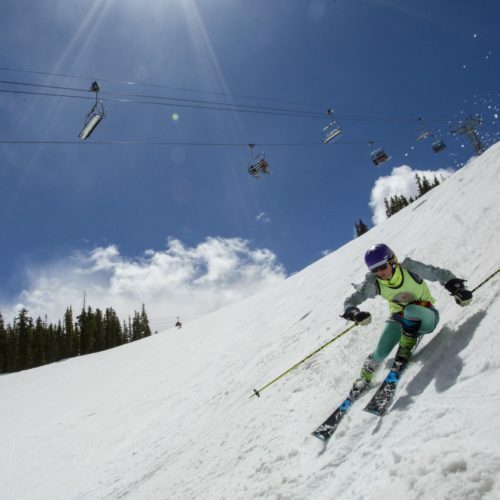 This calorie-blasting pastime is fast becoming a major draw at all four Aspen-area ski resorts, where you can uphill on select routes. Consult the above link for details on access, permissible times, and downloads (some, but not all of the routes have chairlift or gondola access down the mountain). Reward yourself at the top of Tiehack or Elk Camp with breakfast or a cocktail. Part of the former Denver-Rio Grande Railroad bed, this multi-use, riverside bike path begins at Herron Park in Aspen, and runs the length of the Roaring Fork Valley, all the way to Glenwood Springs, 41 miles away. Its ski-ability depends on snowfall (not it’s not groomed), but this season has made it possible for Nordic enthusiasts to access sections including Basalt to Carbondale- a rarity. It’s all stunning but the best stretches feature red sandstone formations and cross wooden railroad trestle bridges. If you end your tour in Carbondale, be sure to stop by Marble Distilling Co. for a well-earned drink. Located 12 miles from Aspen up Castle Creek Road (note this area is privately-owned and fee-based, in addition to rental fee, but you can sign up for tours or take in the 21 miles of groomed trails around this famed ghost town on your own. 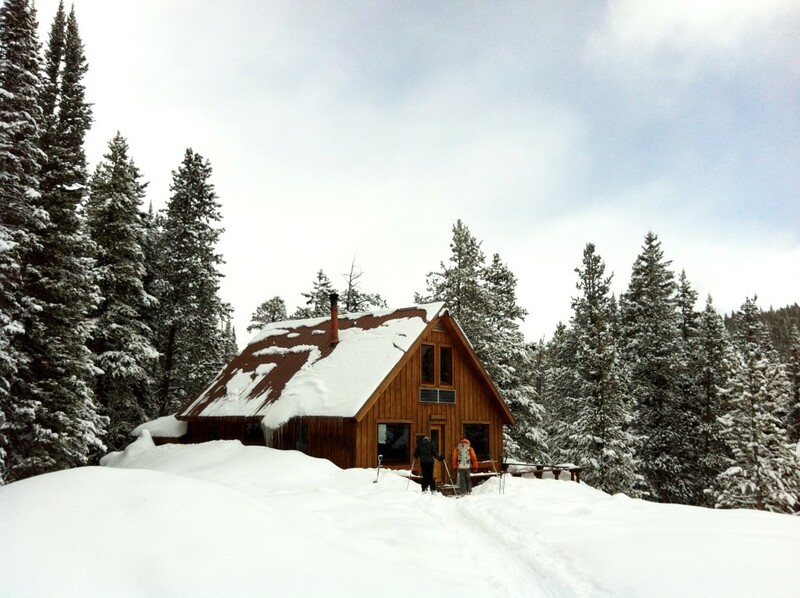 Do be sure to stop by Pine Creek Cookhouse at some point for lunch (reservations recommended) or a toddy. This privately-owned swath of land is operated by the Mount Sopris Nordic Council, a local non-profit organization. There are 19 miles of (usually) groomed trails, access to which is made possible with the permission of the North Thompson Cattlemen’s Association and the Crystal River Ranch. 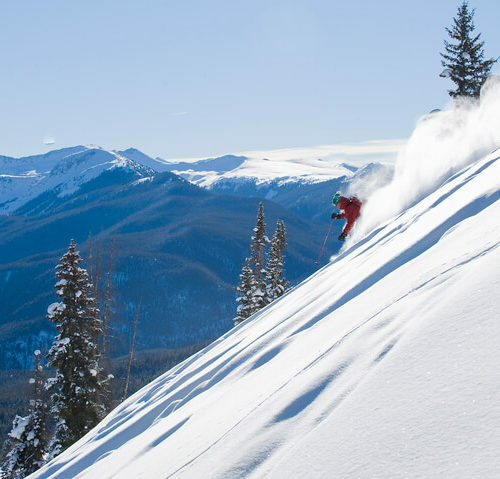 If your backcountry skills are up to snuff or you’re with experienced, avy-certified skier, nothing beats Colorado’s historic 10th Mountain Hut System which is headquartered in Aspen. The Aspen area itself is home to a number of the huts, including those that are operated by the Braun & Friends hut system. Accommodations range from rustic, dormitory-style beds to more stylish digs with private rooms; some huts have saunas. Be sure to book as far in advance as possible. For guided tours, contact Aspen Expeditions.